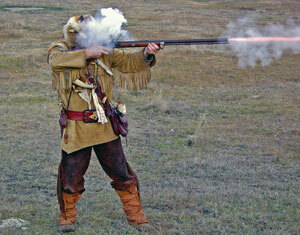 None of these mock-sedition movements can muster as much black powder as Texas. Since Texas broke from Mexico, some citizens there in one form or another have agitated against Uncle Sam’s perceived heavy hand. All efforts to break away have failed spectacularly. However, as Donald Trump is proving, being pissed about the rapid pace of change in modern America boils over in destructive ways. When Texas Republicans assemble for their state convention next month, it’s possible they will debate whether Texas should secede from the United States. There’s almost no chance Texas Republicans will actually vote in favor of seceding, mind you — not least because most of the party wants nothing to do with this — but the fact we’re even mentioning secession and the Texas GOP convention in the same sentence suggests that the once-fringe movement has become a priority for at least some conservative grass-roots Texans. To be sure, that seems to be a relatively small group. The Texas secession movement says 22 out of the 270 county GOP conventions passed some kind of independence resolution this spring. “It’s cropped up in a major way just in this last year,” Paul Simpson, chairman of the Republican Party of Harris County, told the Houston Chronicle. The Texas secession movement already has an embassy in that bastion of conservative values – Paris, France. Which makes sense if you consider the ironic secession of Key West/Conch Republic where they’ve been issuing joke passports for years. The Dallas Morning News’ Jacquielynn Floyd asks several experts if there would be any consequences accompanying a successful secession effort by Texas. But what would an independent Texas Nation really be like? With a gross domestic product larger than Spain’s, a population greater than Australia’s, and a land mass bigger than France, would we proudly assume our place as one of the globe’s most influential and competitive nation? Or would this be a backwater scrub republic, backward and broke? I put the question to a few keen observers of Texas politics and history. Surprisingly, all seemed to agree that an independent Texas isn’t entirely beyond the credibility barrier, especially in light of similar sentiments in such places as Scotland and Quebec. But in the long run, they said, the results would fall short of wonder and greatness. Brands theorized that major corporations, wary of losing access to the U.S. market, would move their headquarters out of the former state. Residents would stop receiving Medicare. Water rights to the Red and Rio Grande rivers would have to be renegotiated “from a position of weakness rather than strength,” Brands said. “Texas as an independent nation would be a prosperous polity – but one that would be less prosperous than Texas as one of the 50 states,” said Mark P. Jones, a political scientist at the Baker Institute at Rice University. He estimates Texas, the Nation would have the world’s 12th largest GDP, but would face serious questions about the future of more than a dozen major U.S. military installations inside it borders. Pass the tri-corner hat full of popcorn. This is going to be awesome.